Trying to do something by saying “OK Google”? 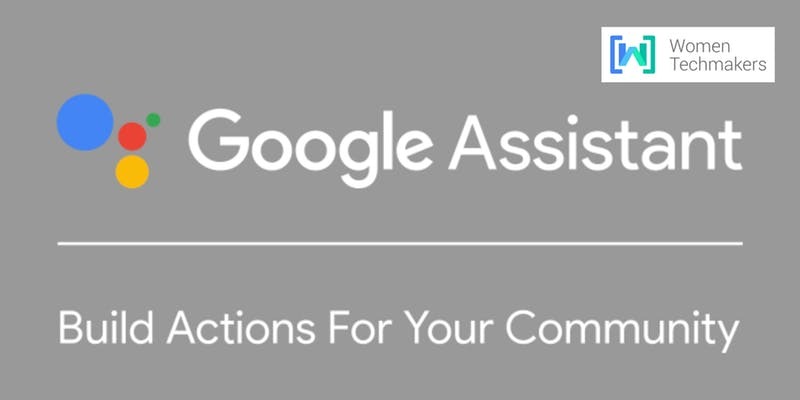 Want to know more about Actions on Google? We are having a code-lab about Actions on Google. Please bring an notebook computer. All attendants who has completed the codelab in the event(must registered on Eventbrite and check-in on event day 12/01/19), and later successfully published the app to Google Actions directory, will be able to get a Google Home mini device for free (a date after 12/01/19, to be announced later). Program Details and terms will be announced in the event. We reserved 20 Home mini for this program. This time we reserve more seats for female. For male member who would like to attend, please bring 1 female friend with you to the event. Please get the ticket on Eventbrite. *We may not let you join the event if you have no laptop on the event day. *Make sure your laptop has enough battery or bring the charger.